This is the part of the site that has most of the fixed content. You get what you pay for, so if you don't like this site, there are plenty of other pages on the internet. Click on the topics to the right to access the content. Note that the newer content will be going on the blog (click above). Early in my career I worked extensively in electricity regulation as a consultant at Putnam, Hayes & Bartlett (now subsumed via several acquisitions) both in Cambridge, Massachusetts and Wellington, New Zealand. I then spent two amazing years getting my MBA at The Tuck School of Business in Hanover, New Hampshire. I liked it so much, that I now run the Class of 2000 alumni website at http://www.tuck2000.com. After graduation, I spent 5 years at Booz & Co. (it was variously called Booz, Allen & Hamilton and Booz | Allen | Hamilton while I was there) as a globe-trotting consultant focusing on Financial Services strategy, specifically in the area of mortgages and housing affordability. After racking up over a million frequent flyer miles (and probably several lifetimes worth of carbon footprint) consulting across 5 continents, I joined Perpetual Limited, one of Australia's oldest providers of financial services dating back to 1884. I held several roles at Perpetual, including Head of Wealth Management Strategy as well as Project Director of the largest organisational change program ever attempted at Perpetual - the consolidation and modernisation of their core back-office systems. I was also General Manager of Perpetual's Operations Initiatives - essentially in charge of the great team of Project Managers, Business Analysts, Process Analysts and Product Implementaiton Specialists that drive initiatives from idea to production. In 2012 I took my first jump into the public sector with a role as General Manager, Business Change & Solution Delivery at Transport for NSW. This new role expands on what I was doing at Perpetual and also adds Solution Architecture, Applications Development and Testing to my portfolio. 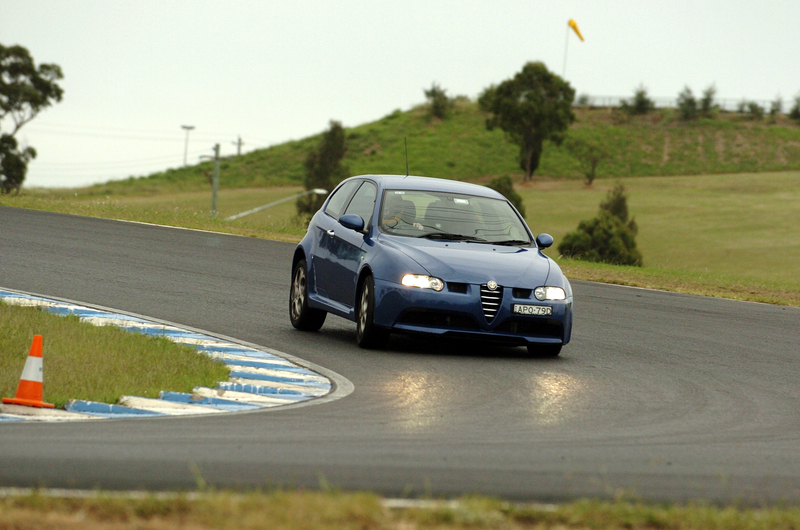 Although my role at Transport for NSW is quite intense, the benefit of a job with virtually no business travel is that I can spend more time with my family and my hobbies, including playing with some of my toys (although family obligations meant that I had to sell my my Alfa Romeo 147 GTA at least got to keep the Ducati Monster). Many years ago, I had a personal web page at http://world.std.com/~bor. This page was first put up around 1994. During a cleanup of my hard drive, I found some of the old hand-coded HTML pages. Although some of the pages have been updated as recently as a few years ago, you can access the oldest versions I found at http://www.ambor.com/world/index.html. Keep in mind that there are tons of broken links since many of the sites I referenced are long gone. As a hobby I've been doing a bit of tinkering with VoIP and have set up a "home PABX" using Asterisk. Probably the biggest group of visitors to this site are looking for one of two things: First, my Free Harvey Ball Font or second, my writeup on upgrading my Intel Mac Mini with an Intel T7600 Core 2 Duo Processor running at 2.33Ghz. The machine originally had an Intel Core Duo T2300 at 1.66Ghz. The speedup is dramatic. I recently discovered some old (1920s) recordings of my great uncle and decided to convert the 78rpm shellac records to CD / MP3. I found it very interesting to mix 1920s technology with 2000s technology to revive these old sounds.